Where indeed one might well ask. 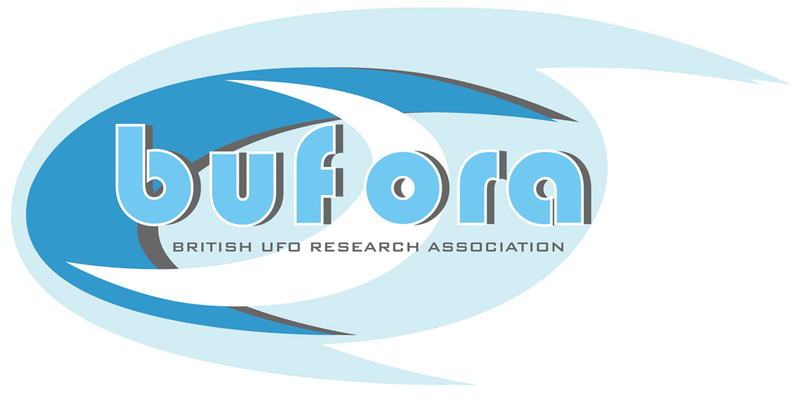 Judging by the number of sighting reports received by BUFORA and from responses to Freedom of Information (FoI) requests submitted to several constabularies in the east of England asking for information on the number of UFOs reported to them, it appears that such sightings are very much in decline. From the sighting reports sent to BUFORA that I have personally dealt with the majority have been night-time sightings of strange or as described by Col Charles Halt USAF (Ret’d), of Rendlesham Forest Incident fame, ‘odd lights’. Very few sightings have been of actual craft. Why is this? Could it be that since the end of the Cold War in 1991 and the withdrawal in 1993, of the USAF from several of its bases close to England’s east coast, the closure or cessation of flying from several RAF stations also in the east of England and the corresponding reduction of military flying activity, that many UFO sightings were in fact military aircraft, both USAF and RAF or from other NATO nations visiting UK air bases, seen in poor lighting or adverse weather conditions or perhaps at night or from odd angles in bright sunlight? From the noticeable reduction in sighting reports received by BUFORA and local constabularies, this would certainly seem to be the case. The problem with reports featuring ‘odd lights’ is the lack of evidence to enable detailed research. It is of course possible to look at features of the surrounding areas using OS maps or Google Earth to identify proximity to airports or smaller airfields. It is also possible to establish if the location of the sighting is near to any aircraft production or test facility. Then there are websites showing images of the night sky for any given location at any time year. The UK Sky Chart is one such site (http://astronomynow.com/uk-sky-chart/). What is far more difficult and for obvious reasons, is obtaining information about aircraft testing and development. This is also the case and for similarly obvious reasons given the current security state, when trying to discover if any military exercise activity was taking place in the area at the time of the sighting. In fact, enquiring too deeply into such activity can prove to be extraordinarily problematic for the researcher if he or she cannot provide a valid reason for the ‘need to know’. There is a surprising reluctance on the part of the Civil Aviation Authority, local military or naval establishments, the MoD and local constabularies to answer any questions relating to military exercises and so forth. This is of course understandable but also frustrating. Some airports, Luton is an example, have an aviation enthusiasts scheme managed by the police (http://www.bedfordshire.police.uk/how_can_you_help/general_aviation/aviation_enthusiasts.aspx) , whereby aircraft spotters can apply to join the scheme. Applicants are vetted and if approved, given a permit enabling them to photograph aircraft at the airport. The primary purpose of the scheme is to assist with security by harnessing the knowledge of the enthusiasts to spot any unusual activity, information which can then be shared with the police. Membership of the scheme is very useful if photographing and / or spotting aircraft is a researcher’s ‘thing’ but doesn’t necessarily help with the identification of ‘odd lights’. That said, becoming familiar with inbound and outbound flight times at airports is very useful in establishing if the sighting might have been a civilian aircraft on a scheduled flight. London Heathrow (LHR) provides online information on arrivals and departures (http://www.heathrowairport.com/flight-information/live-flight-arrivals). East Midlands is another airport that provides details of flight arrivals and departures online (http://www.eastmidlandsairport.com/flightinformation/). What also makes the identification of ‘odd lights’ difficult is the lack of photographic evidence or if photographs are provided, quality images. Submitted images are frequently of very poor quality – under or over-exposure, out of focus, blurred due to camera shake and so forth. Of course taking a hand-held shot of an object at night means long exposures or very high ISO ratings with faster shutter speeds but no matter how careful the photographer is, unless a tripod is used camera shake cannot be avoided and it is hardly likely that a witness to ‘odd lights’ will have a tripod to hand or if they do, then by the time everything has been set up the lights or object will have long since disappeared. With high ISO ratings, although the faster shutter speed will help overcome camera shake, because of the way light is captured by the camera’s sensor the resulting image will be ‘noisy’ and lacking definition (an example can be seen here: http://www.exposureguide.com/iso-sensitivity.htm). With 35mm roll film a ‘fast’ film used larger grains of silver halide but with digital the sensitivity of the camera’s sensor will determine how much light is captured and sensitivity is controlled by the ISO setting. The exposure and focusing issues are made worse if the lights (or object) are moving. In addition to the lack of photographic evidence, descriptions of what was seen can often be a problem. Memory can play tricks and by the time the witness actually sets pen to paper or completes BUFORA’s online sighting report, remembering the detail of what was seen can result in inaccuracies which later prove to be misleading for the researcher. As if the reduction in the number of sightings, the problems with obtaining information from official sources, the lack of photographic evidence and the sometimes inaccurate descriptions wasn’t enough there is, in some instances, the problem with what might best be described as ‘cover up’. This is not an unknown phenomenon and is sometimes entirely justified. One of the most popular examples of an alleged cover-up is the Roswell Incident of 1947. Similarly with the now famous or should that be infamous, Rendlesham Forest Incident of December 1980 and the claim that a UFO landed in Suffolk (and that’s official – according to a front page story published by the News of the World on 2 October 1983) where some skeptics believe the UFO story to be a smokescreen for something else. If the allegations of cover-up are true, then the researcher will have a very difficult time indeed when trying to identify ‘odd lights’ or a strange object. However, it must be said that if a government is developing a highly classified craft, be it an aircraft or UAV drone or anything else, then it is essential that details of such craft are kept secret. After all no government would want its enemies, or even its allies, to know what it is up to. Under such circumstances preventing the truth from reaching the media makes absolute sense both for the defence of the realm and commercially for the contractors involved. If maintaining the necessary level of secrecy requires a cover-up, then so be it. Neither the media nor the public have any need to know. So in terms of UFO sightings where does that leave us? Probably back at the beginning, i.e. where have all the UFOs gone? As stated earlier the withdrawal of the USAF from several of its UK bases and the reduction in flying activity from many RAF stations has probably had an impact and the more recent bias towards developing UAVs has probably also changed the number and type of unknown objects seen in the sky. With that in mind I suspect the answer lies with changes in defence technology and the focus of defence activity moving away from Europe to locations in the Middle East. It would be interesting to know if, because of these changes, there has been a corresponding increase in UFO sightings elsewhere. If there has, then it would almost certainly prove that most sightings were related to military activity and the reduction in military activity in the UK has had a direct impact on the number of reported sightings of UFOs.